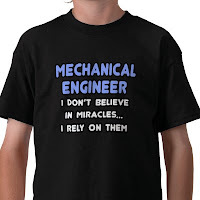 What is job description of a mechanical engineer? What are job responsibilities, day to day tasks, duties and responsibilities of a mechanical engineer? A job description (JD) is a formal document containing brief information about mechanical engineer’s responsibilities. Design and manufacturing of new products. Supervision of team of technicians. Adherence to mechanical engineering standards, health and safety standards etc. Compliance of government regulations. Writing training manuals, technical reports, handbooks and bulletins for products or engineering operations to help other team members understand the basics. Preparation of feasibility reports for new projects and products based on historical data etc. Assessing project requirements or operational requirements for setting up new projects or expansion of current operations. Measuring performance of mechanical components, processes and products. Keeping log of all observations and necessary maintenance requirements. Calculation of budgeting, estimates, forecasts, financial calculations, projections, sales forecasts, return on investments, payback periods etc. Using CAD software and techniques for design improvements. Planning procurement of different components of a project. Testing, evaluating and modification of products. A mechanical engineer should be well versed in project management tools including MS Project, primavera etc. 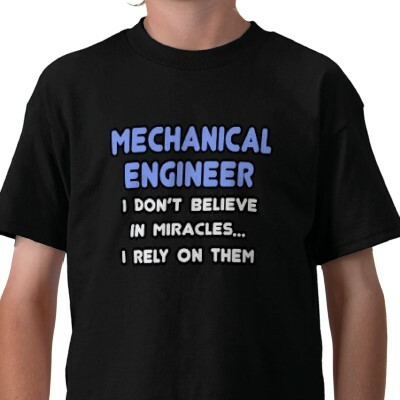 I hope this job description of mechanical engineers gives you an idea about responsibilities, day to day tasks and duties of mechanical engineer. Learn more about basic concepts of mechanical engineering before you start applying for mechanical engineering degree.